Every year in Europe, more than 80 million square metres of wood are dried in industrial dry kilns. The drying process is a required production step for wood processing and it is a necessary pre-requirement for following working applications. 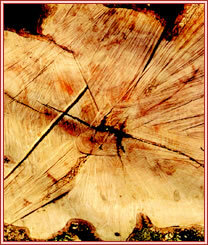 One of the main technological peculiarities of wood is its marked affinity with water. The drying process of wood can be related to two physical factors which are always correlated: water circulation in fibres and its evaporation. During this process, wood is exposed to risks which can affect the integrity and quality of the material. VERMA INDUSTRIA is the specialist in wood drying systems: today, thanks to its deep knowledge in wood processing and to its thirty-years experience staff, Verma Industria set up a product able to meet the different productive needs of its clients. A specialised technical office can design wood drying kilns with a minimum capacity of 20 m3, up to a maximum of 150 / 200 m3, and, if necessary, personalize the product to better meet the needs and requirements of the clients. Our delivery terms are short and fully respected.